Price listed is for six glass stones. 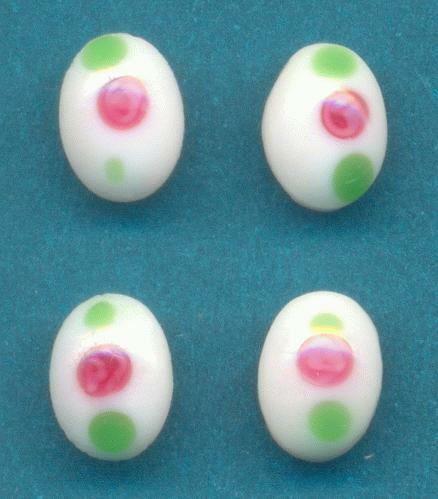 These are approximately 7mm by 5mm opaque white glass stones with and abstract pink/green flower design. They have smooth round tops and slightly pointed backs. These are molded glass stones. A few may be a little rough around the edges and some may vary slightly in shape.